This paper supports the main scenario text. The Old Narrative is that of the New Deal, the Iron Triangle of State, Big Commerce and organised labour. As organised labour has lost its power, however, so the state has stepped into this role. The current version of the Old Narrative has the state acting as both impresario and manager of the nation, with commerce and society in a dependent role, at least as seen from the state's perspective. There is a note on the general concept of narratives here. Difficult times can move this modified the Old Narrative to an extremely dangerous form, a narrative that we have termed "Old Narrative 2.0". This is driven by frustration with low growth and by the lack of low skilled jobs. Poor pension funding, combined with difficult demographics in Europe and Japan adds an additional note. Jobs are seen to be lost overseas, and skilled people are seen to take too much of the economic cake. Populist politics is quick to develop a rhetoric of blame and a syndrome of remedies that would block trade in order to protect threatened jobs, and high taxation in order to finance welfare. It is likely to be combined with a political rhetoric that sets the the world's economic blocks against each other. From a positive sum game, the world economy drifts to a neutral or negative sum outcomes, with some formerly wealthy nations falling into a rapid economic decline. This is not a happy prospect. Set against this is an alternative, what we have called the New Narrative. This sheds much of the baggage of history, finding a different way to talk about the political, social and economic affairs of the wealthy world. Naturally, if we knew what this New Narrative was, we would set it out, but unhappily we do not. What we can do, however, is discuss six crucial areas in which change is required if we are not to fall into the 2.0 version of the Old Narrative. These comprise, first, education and the participation of the low skilled in the economy, given that welfare budgets will be constrained by both debt and demographics. Second, we consider the issue of tangible and intangible infrastructure, in which the state can play a major and positive role. This text should be taken in conjunction with the separate paper on entrepreneurialism and innovation. The next two sections look briefly at finance and at regulation, given the depth of analysis that we have already given to these issues. Finally, we consider the ridiculously poor state of policy debate in politics. A New Narrative will. almost certainly, need to change aspects of all of these elements. However, a narrative is not an analytical thing, created by design. It arises spontaneously, from examples that seem to both work and answer problems that people may not even have articulated. The Reagan-Thatcher years spoke about the need to unleash "market forces", but were in fact the last days of the Iron Triangle. Free commercial choice was just one element of what they were feeling and helping to bring about. People who supported thee leaders were attracted to the narrative that they offered not necessarily because it was analytically correct, but because they felt that it was a wind that was fit to blow away the dust and cobwebs of a former age. The New Narrative must be of the same quality. It will be first encountered in one or more specific locations - Singapore? Denmark? - or as coming from an industrial sector or entrepreneurial group. Then it will be picked up by others, modified and translated many times before it becomes widely adopted. However, the cobwebs on the current narrative, and the extreme dangers presented by the Old Narrative 2.0 will together create a willing audience for success when it presents itself. We have explored the dynamics of inequality of ability and income in some depth. The Old narrative 2.0 meets the issues with trade restrictions, high taxes and high net transfers. The New narrative will break with the New Deal model. In the name of worker protection, many existing regulations make it expensive to hire someone and impossible to dismiss them. A tangle of complex means-tested benefits mean that the marginal tax rate for poor people either increases – or undergoes erratic oscillations, as we have seen earlier – as they earn more. The presumption is that everyone physically and mentally able to work will do so – with portfolio jobs, part time work, as need be – and that social top-ups will follow performance. Tax raising is extraordinarily complex, often due to attempts to avoid regressive taxes, to protect charities and the like. Tax levy has to become focused on simplicity and efficiency, but also on the encouragement of saving and enterprise. Redistribution can then be managed in a transparent manner, perhaps with a universal negative income tax. This said, the single greatest force against the New narrative is the political pressure to “make it like it was”, for which the only tools are Old narrative 2.0. Coping with sinking real share in GDP for the poorest in society requires substantial growth for the social situation to stand still. Under conditions of low growth, the New narrative will take root only sporadically and is specific locations. The figure may help to clarify this. In the centre, new notions are integrated with existing commerce. Efficiency improves, subject to competition, and industries tend to become commoditised. 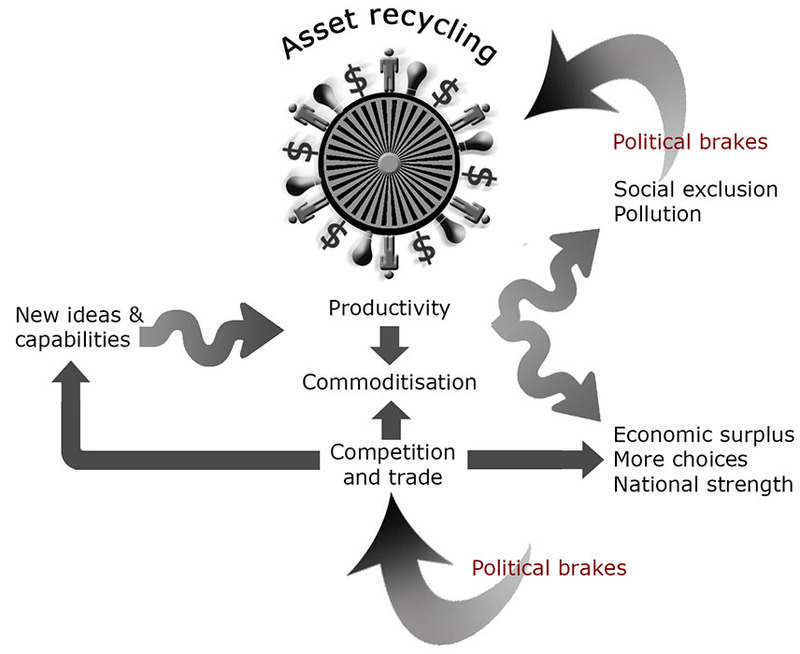 If growth is slower than efficiency gains, assets – people, money and ideas – will be “recycled” in the economy, symbolised by the wheel in the centre. New ideas and fast growth help to soak up these assets. Strong recycling - that is, fast efficiency growth – tends to hold down the cost of inputs, such as wages. The consequences are twofold. Positive outcomes include an economic surplus, more choice and stronger national competitiveness. The negative consequences include assets that cannot be recycled – primarily people, with inadequate abilities – and issues such as pollution. These apply political brakes, both to the recycling process – for example, by shifting money that would otherwise be recycled to investment into welfare – and by protecting jobs. These pressures can also act at the bottom of the figure, constraining trade and competition. In some cases, they can also inhibit the implementation of new ideas in technology, policy or commercial practice. The fundamental issues around entrepreneurialism, enthusiasm for education and a general societal applause for enterprise are all of them cultural, a key part of the New Narrative. The Old Narrative saw these things as necessary evils, individual enrichment as divisive: the gray politics of envy and sloth. Economic growth is driven by inputs of labour, capital and by efficiency. And, one might add, enthusiasm and discipline. All human resource is not the same, however, and the figure shows how producing a graduate contributes to the national economy. 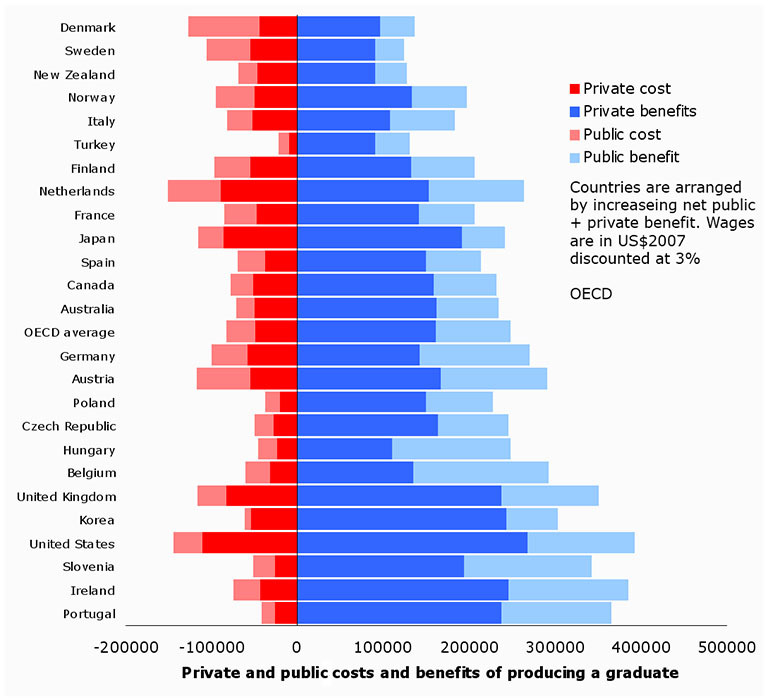 Public and private benefits are roughly even, and public benefits exceed public costs in all countries except Denmark and Sweden. The countries are plotted in ascending order of net overall benefit to the economy, with Denmark having the lowest figure and Portugal having the highest. As is well known, graduates generally earn more than people who have completed only a secondary education. The average lifetime premium comanded by a male graduate, averaged across the OECD, is US$ 380,000 (US$200,000 for women.) The figure for the the United States is more than US$ 600,000. The net return to the public is roughly triple the public investment that it takes to educate a graduate. Virtually all net personal taxation is levied on graduates, who support the welfare benefits of the remainder of the population. Salary differentials vary with the proportion of the graduates in the population, as the figure shows. In areas with few graduates, salaries are relatively high. Quality varies very considerably in what is meant by "a graduate", both within countries and to a much greater degree between them. For a graduate to command a significant premium in an industrial country, they need to have graduated from an elite institution, or to have been top of their class elsewhere. Working on this quality issue is currently expensive, as the chief costs of tertiary education are wages, and exceptional teachers command equivalent incomes. This is a supply side issue that states may wish to address. The world graduate population is undergoing rapid change. New graduate entrants to the world work force grew rapidly since 2000, and are expected to continue to increase. Emerging economies in particular see education - and in particular, tertiary education, as a passport to success in life, and getting education for children is generally regarded as a primary priority. 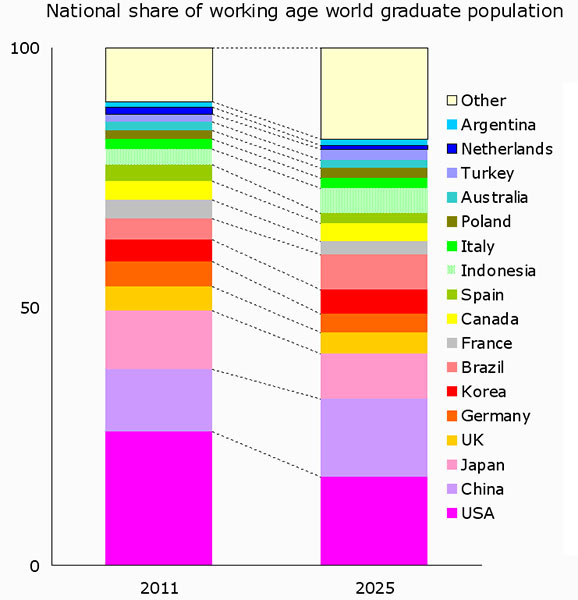 The figure shows how the world's graduates are shared out in 2012 and how they are likely to be situated in 2025. The shift in expertise away from the industrial nations is self evident. However, the disproportionate shift to "other" is surprising until one considers where the young people are: in the poor nations, and certainly not in China. At the other end of the achievement scale, the figures are grim and slow to change. It is though innate differences in ability (and environmental disadvantage in learning) are amplified by a world keen to educate its young people. The US based National Assessment of Adult Literacy show that only 13% of adults were scored as "proficient" in a range of reading-related tasks. Nearly a quarter - 23% - possessed skills that were below "basic" level. Literacy was tested around the ability to understand news stories, editorials, manuals, brochures and in various formats, such as texts, maps, tables, charts, forms or time tables. Basic skills consist of being able to write your name, pick a few common words from a list and identify the name of your country. A quarter of adult Americans were unable to do this. Strictly text literacy rates were somewhat better than more complex, "quantitative" skills, such as using a time table. The 2003 Adult Literacy and Life Skills Survey used these tests to extend the findings to five other countries. US citizens outperformed Italians, but were surpassed by adults from Norway, Bermuda, Canada, and Switzerland. However, the differences were not marked, and this appears to be a general issue for the developed world. Detailed breakdowns in the US show little change over time at the bottom end of the scale. Women do better than men, and black and Hispanic groups do significantly worse than whites, or people of Asian extraction. The US Department of Justice is explicit in linking illiteracy to crime. Eighty five percent of those coming before juvenile courts are functionally illiterate, as are 60% of prison inmates. Those whose reading skills are improved in gaol have a 16% recidivism rate, but 70% of those who are not tutored return to gaol. Around 43% of those with Basic skills live in poverty. Three quarters of food stamp recipients and 90% of non-pension welfare recipients also fall into this category. The children of illiterate people are far more likely to be illiterate themselves. This group generate many "hidden" public costs. Illiteracy has been studied in the context of health care. Those in the Basic category are more likely to be hospitalised, and for longer, than are their peers. Studies into health literacy - that is, the ability to pick up and use basic health information - suggest a cost of illiteracy amounting to $100-230bn annually in the US (Pfizer, 2003). Similar hidden costs must exist in a gamut that runs from direct welfare to policing and incarceration costs. A New Narrative would apply preventative principles to this population, spending on skills rather than clean up after the event. Spending on primary and secondary education as a proportion of GNP is remarkably stable across the OECD. Tertiary education is both proportionately expensive per graduate, but hugely profitable in both personal and public terms. The personal IRR of investment in a graduate education is estimated to be around 15%, the public value broadly the same: about 30% in the round. 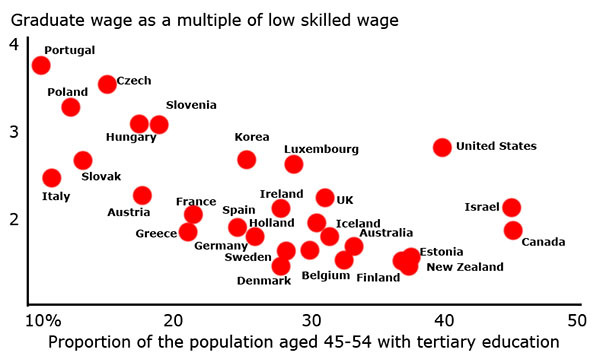 The value is higher in those countries with lower graduate numbers, as noted above. The OECD finds that primary and secondary school teacher remuneration has limited relation to the subsequent earnings of their pupils. A variety of work shows that performance is related to cultural pressures - and notably to family pressures - perhaps indicating why certain ethnicities, classes and other groups gain persistent educational advantage within a common schooling system. Immigrants and those working in a second language are, unsurprisingly, found to be at a disadvantage in primary and secondary education. The average OECD country uses public funds for 83% of the income of its educational institutions. This rises to 91% when considering only primary and secondary education. Only Korea and the United Kingdom have figures below 80%. Funding for tertiary education is much more varied as between countries, with about a third on average coming from private sources. Most nations increased their education budget between 2000 and 2008, after which figures are distorted by the financial crisis. Over the same period, 20 of 26 OECD countries increased the proportion of tertiary education that came from private funds. The figure plots the PISA score for primary-secondary educational attainment against income per capita, for 2009. As already indicated, absolute expenditure on education increases in line with with GDP, but outcomes do not. China is shown as an extraordinary over-achiever. 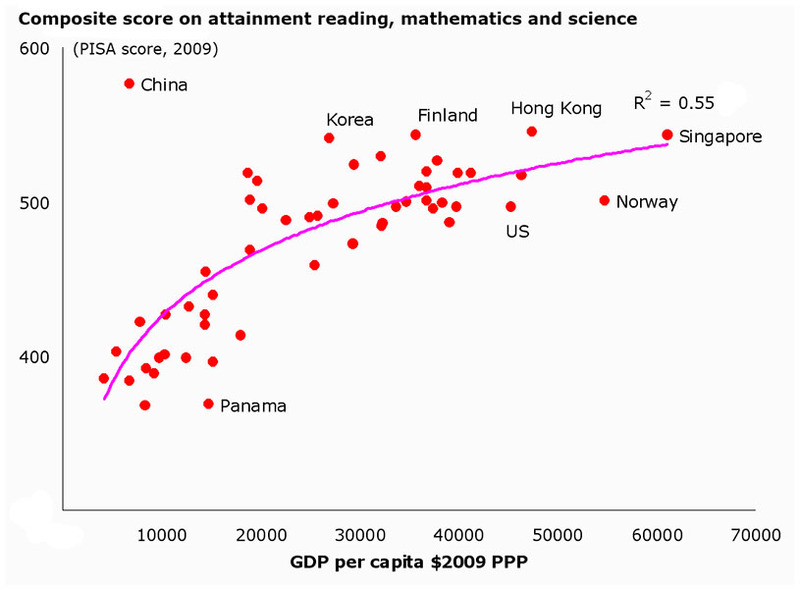 Korea, Finland and Hong Kong are also over-achievers. Panama gets much less from its education system than it should. So does the US and Norway. Countries exactly "on the line" include Britain, Switzerland and Romania. The New Narrative prescribes two things for education. First, in regard to primary and secondary education (and to technical training) the issue is one of delivery. Current systems deliver considerably different outcomes. Expenditure on primary an secondary education track GDP per capita very closely (for wonks, an 82% correlation coefficient) but PISA scores and other international comparisons do not do so. The US spends huge sums on education, yet it languishes at around 17 on international rankings. The reasons for this are open to dispute, but the facts are not. These systems need to be brought to the same efficiency as any industrial process, delivering children with the foundation skills and specialist technical skills that they need to a common standard. Notions of social engineering have removed procedures that are known to promote efficiency - such as streaming by ability - but these belong in the Old Narrative unless a new way of satisfying the egalitarian aspirations can be found that does not actively obstruct learning. Second, one key to high-end national success is its graduate population. In the New Narrative, a rational population will invest, from whatever sources, in self-development. It will do this with a rational eye to gaining desirable and scarce skills, rather than simply ticking a box: school, gap year, university, job. Further, it is now reasonably accepted that qualifications such as MBAs are at their most useful after a few years of experience. The reality is that high order skills need to be renewed, notably in a fast changing world. The current generation who started life as - say - doctors have seen much of their understanding of the human body and what can be done to it changed radically. Older practitioners have been adapted to this by making them the first line of diagnosis rather than the deliverers of complex treatments, but the issue is a general one and such solutions are at best band aids stuck on a broader wound. In general, therefore, life time learning needs to become more than a cliché. Mechanisms for doing this - tax deductability, guaranteed return to work after a period of training - are not in place. Careers are now so erratic as compared to former life that there is room for the equivalent of an HR depertment, offering advice to the individual, coaching them and offering alternatives. A spin off form the individual's university - or business school - might take this on, to general advantage. Physical infrastructure needs to change as environmental, economic and social issues impinge. Transport is an example. However, new technologies may allow unmanned micro-freight systems to be emplaced, allowing small shops all of the advantage of frequent just-in-time deliveries, and a huge expansion in their potential range. This has the potential to cut transport and raise employment in these labour intensive activities. Most projects economically and technically viable projects that do not get funded, suffer from any combination of three problems. First, that it is not possible for an investor to extract money from the public goods that they provide; second, that the projects are blocked by planning procedures and, finally, that the state does not permit private money to engage with the potential. At the same time, the state may be unable to find the money and balance its books. Airports and roads do not get built. Completely new notions, such as micro-freight, have no champion. This comes down to an issue of regulation. If private roads are to be built, then the means to extract a profit from the investment needs to be a part of the plan, as much as all of the permissions and limits that regulation provides. Renewable energy is an example of a field in which state mandate will define what gets produced if, of course, the state makes a credible case for long-run profit to which it is bound. Over the 25-40 year life of an energy system, political whims may change; yet the investment requires credible indemnification against this. This is not technically hard to achieve, using instruments that are derivative on initially agreed performance and rigid regulatory rules. States being sovereign, such agreements can be abrogated, but the stronger the confidence that the state can generate, the stronger the enthusiasm amongst investors. Intangible infrastructure is, as ever, crucial. The key element is, of course, Narrative 2.0. Or discussions have touched on the role of economic clusters and geographical specialisation. States have the means to block this, and some means to encourage its formation. Central to this, once again, is regional, focused regulation that understand the dynamics and risks of the activity and works to build it a locale in which it will be at home. But, of course, not at the expense of the environment, safety or local interests. Regulation needs to up its game. States spend a tiny proportion of their income – seldom more that 1% - on science and on tax relief around R&D. This is an extraordinary oversight. Some innovation does not use technology, but even the performing arts and literature rely heavily on technology and complex systems for their delivery. All economic studies of the yield from investment in science, engineering and technology show massive returns to the investor, and even greater “social” returns. Despite the essentially international nature of science, the ability to make use of technology tends to be an extremely local matter, with diffusion ceasing in kilometres, just as diffusion in commercial organisation is halted by separations measures in tens of metres. Innovation is a social process. Countries which have clusters of competence underpinned by new knowledge that is at the leading edge enjoy great economic advantages. Competitiveness can be too much of a good thing. Universal superiority will cause a nation’s currency to inflate, which will erode its ability to trade. Like most other high-level economic variables, it has an optimum which is best set at less than “full”. A closed economy should strive for efficiency chiefly so that its surplus can be recycled to do new things, or consumed in ways that satisfy social needs. An open economy adds to this the huge benefits of trade: positive sum exchanges, due to comparative advantage, and the interchange of new products, ideas and techniques. However, this does not require a position of absolute superiority, for comparative advantage still delivers its miracles when one trader is in a worse position than all of its trading partners. If you are much worse at growing oranges than a trading partner, but only slightly less bad at growing olives than they are, your overall costs will fall if you focus on olives and buy oranges from them. It is, therefore, best to command the field in some specific area, as Germany does with high-end vehicles - and to be good enough to maintain high-wage, low cost production across a broad front. Nations need to aim to deliver low cost infrastructure, adequate performance across the board and excellent performance in a few selected areas. Market forces will deliver some of this, but the state can help considerably in the issues of regulation, human, intangible and tangible infrastructure, financial stability, planning and clustering. Its attitude to competition will greatly effect costs, in energy and waste management, for example. Its attitudes to the balance between investment and consumption – for whatever worthy reasons – is extremely important. Most of those issues have been discussed, as they are a part of the overall social narrative. Commerce also has its own narrative, which was extremely strong in the 1990s and is now, to a great degree, replaced by uncertainly. Commerce acquired a narrative that strengthened from the early 1980s, peaking just before the crash. Free markets embodied all available knowledge about commercial conditions; projects grew bottom up through a process of competition for resource; and the task of the state was to manage the back drop. In the 1990s, this view distilled itself into a purely numerical model of corporate excellence. Companies could be ranked in terms of a few key ratios that reflected their overall performance and the market reception of that. Up to the crash, therefore, the stress on commerce was for it to generate cash. It did this chiefly by cutting costs, often by borrowing and frequently by neglecting investment in long-run considerations. All of the processes that were used – TQM, supply chain integration, outsourcing supply chain elements to low income area suppliers, systems automation and human resource re-engineering, cost benchmarking – were procedures that set out to exactly define what was to be done, and how much that was to cost. 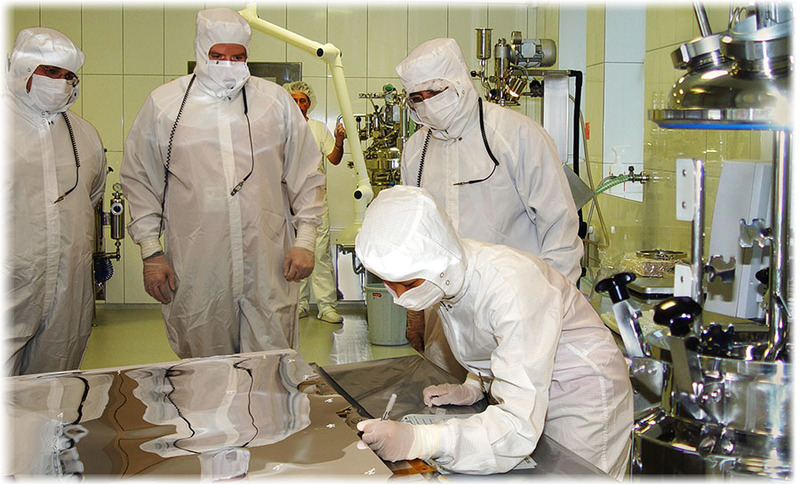 If you can specify something exactly, then it can be undertaken by any competent body. Barriers to international outsourcing fell, and due to the modular nature of supply chains, barriers to entry to any one part of these also fell. In a world with a hundred suppliers of virtually identical random access memory chips, all of them with similar cost profiles, nobody makes much money: this is called “commoditisation”. If supplemented with new projects and techniques, commoditisation is a natural process that delivers low cost commodity goods. Unfortunately, the very processes that were adopted in the decade up to the crash are antithetical to innovation. They are tight when novelty requires a certain focused looseness; they employ people whose notion of compliance is to fulfil their norms; they are results-focused when they need to be strategy-focused. Such novel activity as was being undertaken has, for the most part, been frozen as a result of the crash. Firms now sit on considerable amounts of cash and may have interesting projects, but they are waiting for some clarity in the financial system. There is an additional limitation that holds firms back. The management paradigm of the 1990s was deterministic and analytical. The optimisation of defined systems was easy to parcel out as orders. It was easy to measure performance and compliance. Firms are now waiting for a similarly deterministic management paradigm around innovation and self-renewal. Innovation does not fit this mould. You cannot order a random middle manager to innovate, at least with much hope of being pleasantly surprised. You cannot easily measure progress. Innovation seems a chancy business, placing the company in the hands of impenetrable experts who take great steps in directions where you do not necessarily want to go. In fact, however, these matters are tractable, but they require a different management style. This comprises is a set of simple processes which take matters one step at a time. They collect and fuse together knowledge. They start by understanding how the business environment operates, and how this is changing. They develop a view of where this organisation fits into this, in terms of resources, capabilities and limitations. Given this, the processes define the broad options which make sense for it, given its brand position, state relations, innate values and stakeholder interests. The processes draw on organisation-wide insight – indeed, look wider – and ensure that the result of the enquiries are widely understood. That phase of analysis ensures that staff are aware of what is wanted, and that the organisation can recognise potential when it sees it. Further processes invite ideas, give these space to develop and apply ruthless winnowing techniques to these as they develop to maturity. This style is probably why technology clusters are so effective. Those involved are enthusiastic, analytical, prone to talk shop endlessly and so able to recognise a good thing when they see it. If the lawyers and the money people also see it in the same way, the system functions. If there is no common narrative, it fails. Entrepreneurship varies considerably between nations. As we have shown in a separate paper, a considerable amount of this variation depends on the narrative – on how people view entrepreneurs, on how traditional careers are structured, at how societies react to failed experiments. Not all entrepreneurial activity is even slightly innovative, but a significant proportion of the set-function innovation that occurs in the industrial world is rooted in its entrepreneurs. The Global Entrepreneurship report estimates that there were 400 million people starting their own businesses world wide in 2011. Intrapreneurs – people who push new ideas in existing businesses – represent a few percent of the overall workforce, at most. We have reviewed finance and financial regulation in considerable depth. Regulation is addressed in the following section. Above, we discussed the commercial narrative of the 1990-2008 period. Financial institution were responsible both for the pressure applied to public companies and for the broad concepts that underpinned the rule-by-ratio narrative. Financial institutions want large, safe projects that generate high returns: large, because many little transactions are burdensome if they cannot be automated. Returns that feel safe are those from familiar terrain: established organisations, routine expansion, M&A and the like. High returns are elusive, not least as everyone else competes to enter this terrain. That said, the financial system probably serves the needs of large, established organisations well, perhaps too well, bending them to its mould. Finance felt that it had mastered the handling of consumer debt – credit cards, mortgages – by pooling risk, much as insurance companies have always done. As we have seen, this structure collapsed, primarily due to the behaviour of the Fanny Mac and Mae organisations under political directives to sell to low-income groups. Consumer debt is being reduced, but remains the greatest vulnerability of the current system. Retail banking, after a phase of over-generosity, is now nursing bunt fingers and trying to get its ratios back into shape. It is probable that retail banking will return to fitness for purpose. Where finance is far less satisfactory – now and in the past – is in the provision of capital to unusual, innovative or simply new activities. This is addressed in more detail in our parallel paper on entrepreneurship and innovation. We noted earlier, when discussing infrastructure and also under finance, virtually all business environments are strongly affected by state regulation, around employee relations, product quality, pollution management and financial probity. Industries like agriculture, health, transport and energy have their entire profitability dictated by the state in one way or another. Farm process, for example, are set more by state subsidies, mandated projects and the like than basic supply and demand. Half of the US corn crop goes into biofuel production, for example, under huge subsidy. What vehicles get built, how they are fuelled and where they are allowed to be driven are all mandated by regulation. Regulation is increasingly the key element in defining national competitiveness. It is far from clear that it is optimised for such issues. Indeed, many regulations – such as employment law – are specifically set against profit maximisation. At no stage is regulation assessed in the round: employment law is there to keep people safe and unstressed, adequately remunerated and protected from exploitation. It is not there to – for example – drive innovation, intangible infrastructure or a positive view of entrepreneurship, all issues to which it could make a positive contribution. Energy regulation may be predicated on cost, supply security, one of several kinds of pollution minimization; but it is never clear what balances are being struck, or how this or that policy links to other practical and important issues. First, how do we get to more “intelligent” regulation and, in the process, reduce the amount of it? This should be a key thread to the New narrative? Recent banking legislation will amount to 10,000 pages of text in the US, and an estimated 30,000 pages in the European Union. The texts are defined chiefly by legislators and their civil servants. It is reasonable to ask whether all of these details truly need to be spelled out, or whether some form of management by objectives might not be more appropriate. The form of this is clear: in consultation with the regulator, the legislature would define what is to be achieved (or avoided) and then delegates the delivery of this to the regulator. 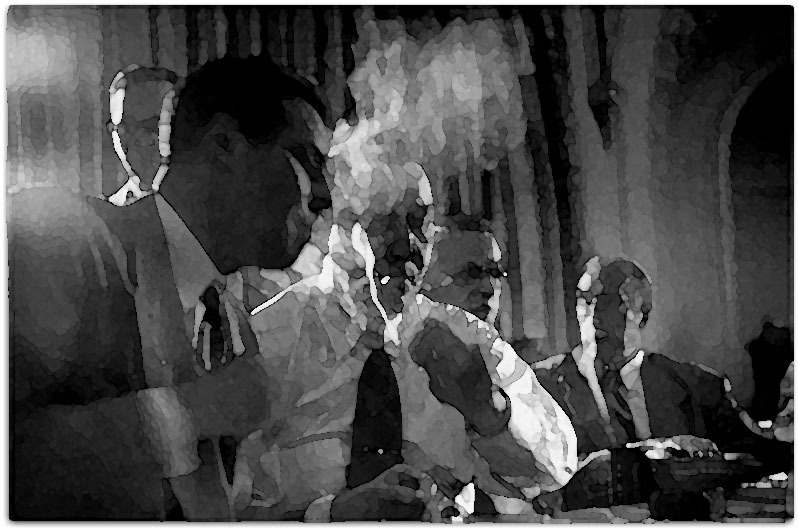 If we have learned one thing about states and commerce in the past fifty years, it is that over-specification is corrosive. Effective managers need to be told what to deliver, and the framework of values against which they are to work, if they are to respond flexibly to events. Bureaucratisation - the definition of every eventuality and the specifics of how a manager is to respond to these - fails hopelessly in anything more complex than a fast-food franchise. Simpler, constrained targets and limits might be both easier to assess and more straightforward to administer. Certainly, they would be easier to understand. An alternative to this approach is, however, to make the inspection process consultative, and to make overall failure to deliver - in this case, clean food - the subject of penalties. It is much easier for business to be mindful of a list of common-sense failures than a vast array of process-based requirements. Consultation bring potential failure to their attention, and if ignored creates evidence of negligence. Might case by case assessment and sanction-setting put too much power in the hands of individual regulators? Acting within a clear framework, and under general guidelines, this is exactly how the judiciary operates and we are generally content with this. Regulators tend to be seen as second-rate judges, in need of detailed instruction. Given the complexity and importance of the fields that they manage, this is not good enough. We need to empower and trust regulators to decide on the balance of probability, on the balance of liability, which no amount of specific legislation can deliver in the messy world that we inhabit. As with the issues of innovation that were discussed earlier, what gets a good result is a clear, shared strategic notion of the why, the when and the how. Critique of individual paces is sometimes helpful, and the early detection of dangerous trends, such as financial bubbles, is essential. Nevertheless, another characteristic of the New narrative is an adult approach to regulation: not self regulation, not “soft” regulation, but strategic, shared and deeply considered policy which carries penalties for transgression against the sense and not the letter. Perhaps this places too much discretion in the hands of functionaries, but it is power that is otherwise in the hands of the regulated, or lawyers. Policy formation is in a shameful state across the industrial world. Political parties are responsible for policy initiation, which they do in the most cursory manner, often taking a position for electoral or thematic reasons than because it has been given full analysis. The civil services of the world are given the job of turning general aspirations into concrete plans, always under pressure, usually with limited recourse to the analysis and expertise that is needed. There are usually calls for opinion, but what answers are usually pressure groups with prepared positions. Political parties exist in order to protect the interests of their supporter group first and the national interest second. Underneath the policy process, international treaties – or in the European union, directives – creep into law carrying with them smuggled assumptions. Where the legal process allows for this, case law manages interpretation in ways that change grossly as social conditions alter. The media force pointless action on politicians and deflect their attention from longer run issues. We have politicians to manage situations where there is no objective solution, and where opinions vary grossly. An increasing fraction of national life does not meet these conditions. Central banks have been given independence primarily because their role answers to objective measures. Great tracts of social policy – health, education, aspects of welfare, of policing – are becoming subject to objective, scientific insight. We truly do know what treatments and procedures are cost effective and which are not, and evidence based policy grows both as alternatives become ridiculous or as services in other countries adopt them and show success from this. That is not to say that evidence governs policy even where it exists. 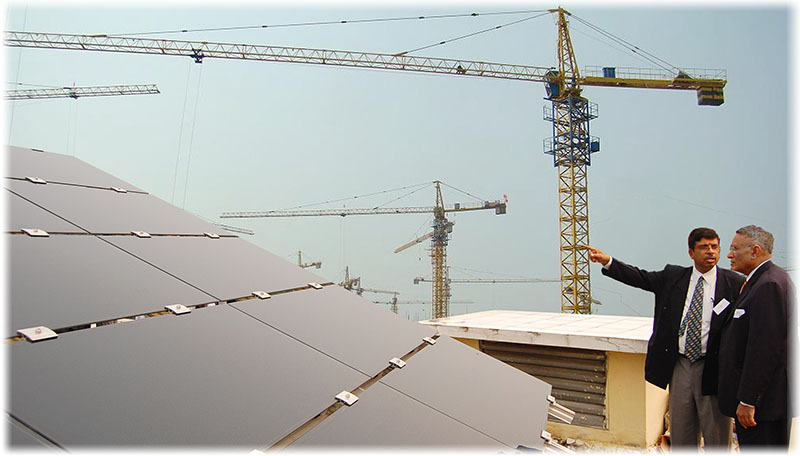 Renewable energy is an example, where one scheme after another has been forced onto the system at whatever economic cost. Allegedly, a British minister announced the target of 25% of electricity from offshore wind as the result of “dressing up” a speech in the back of a taxi. The same person, in a different incarnation, pushed is said to have through an expensive breast cancer treatment, already objectively proven to be ludicrously far from cost effective, because “she was for women”. This is irrationality on the billion dollar scale, and is virtually universal in politics. The New Narrative must make some inroad into this. Policy changes need to meet specific criteria, and be developed through specific processes. This sounds vaguely Stalinist and certainly idealistic, but we would never allow a company to be managed the way that, in general, the entire industrial world manages its national affairs. Whilst virtually every other profession has changed out of recognition in the past hundred years, politicians have not. They would instantly recognise fellow souls in nineteenth century politicians, and are indeed disproportionately fond of writing biographies of them. Few lawyers and no doctors would look to similar figures to reinforce a speech, yet politicians quote people two hundred years dead with a apparent sense that this gives weight to their position today. The issue may come down to a definition of roles. At present, politicians feel empowered to enter every area save the interpretation of the law, law which they have minutely defined. As we noted under regulation, over-defined requirements can lead to difficulties. Napoleonic law, in its original conception and ignoring whatever has happened subsequently, was aimed to set out the general intention of the law, and allow judges to interpret it on a case-by-case basis. Nations which build on case law (can) arrive at a similar structure. It may be appropriate to reduce the role of politicians to expressing the popular will - that is to say, general outcomes, general intentions - and to allow judges, regulators and other expert bodies to turn this into rules at the operational level. The US President has, in particular, an impossible job for any one individual. The executive and the civil service are purposely set at loggerheads, with the President as "decider". This pushes advisors into the role of advocate, and makes policy debate a matter of presentation, "access" and, ultimately, simple vote counting. Europeans have not yet learned that to get the law written as they want it, the sole requirement is to muster a majority, by whatever means and through whatever horse trading. This is core to the US system - permitted pork amendments to completely irrelevant bills, fervid lobbying to muster the required votes - and it does not make for ideas-driven policy. My wife and I joke about how, ever since our first child, her use of parenting and pregnancy forums has gotten out of control and I no longer feel like I am married to one woman but 1,000s of women on the internet that I don't even know. We affectionately refer to these strangers as my "sister wives." It's creepy though, my opinions mean nothing to this gargantuan council of internet strangers, whereas my wife used to mostly rely on me to make every decision pre-child. And I'm not the only father who has had a similar experience. Experiences of this sort are now almost general - common illnesses, technical issues, claimancy against the state or grudges against employers can attract huge and expert communities. The impact of democracy must be immediate and pervasive as interest groups continue to identify themselves outside of conventional party politics. More immediate impacts come when people undertaking a job in one country benchmark themselves against those e in another: productivity, grievances, ways of thinking about their situation all become richer and more robust, and easily able to out-debate the former policy elite. 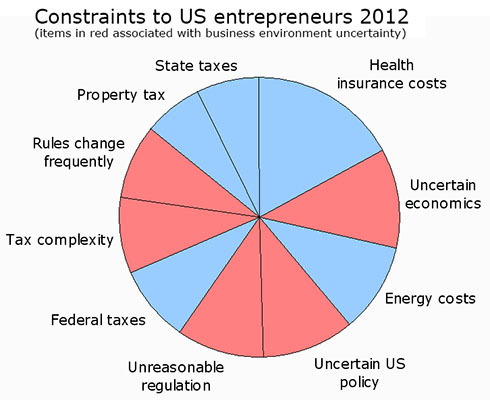 The figure shows the chief constraints that US entrepreneurs feel in daily business, with wedge size representing the proportion who reported this issue as "important". Blue items - taxes, energy bills - are as routine to entrepreneurs as weather is to farmers. The red areas, however, show the impact of uncertainty. All of them are tractable to political management, better policy management or more intelligent regulation. We should start making our our minds about what education is and what is for, and not treat it as a fungible commodity of which the more is the better. On one hand, it was since the Middle Ages job training for certain jobs: lawyer, doctor etc. This only makes sense if the jobs are there. There are other narratives, such as education generally makes a better citizens, and it is true, but in that case it should be an extended high school with many subjects and a very general education, and not a narrow specialization in 14the century Icelandic poetry, as that does not make a person much better and only makes sense if there is job demand. Either we job-train in the universities with a keen eye at the job market, or give a well-rounded general education without specialization, like an extended high school. Also, as much as possible hands-on stuff. What always bothers me is the general attitude of young job-seekers who were educated to give right answers instead of getting stuff actually done. Really hard to hire them. Also, people ought to pay at least something for it, for motivation. Students should feel they are getting a worthy service, it is not a chore they are forced into. The American tuition bubble is ridiculous, but so is the completely free education here in Austria or say Denmark. The UK sounds about right, 9K pounds a year does not cover the full cost, but IMHO it makes students feel they are buying something precious for themselves, so they put some effort in it. I went to a "free" college in Hungary, and it was like "meh, school again", but when I paid 400 pounds for each block doing some postgrad in Wolverhampton, I sponged up every word uttered during the lectures. Just a remark: we should always keep in mind that the point of infrastructure is reducing transaction costs. For example, most countries have some kind of government post office service. Most such services do not offer something along the lines 7/24 delivery, when people are actually at home and not at work. This hurts internet shopping, as such, it prevents the lowering of the transaction costs of someone starting a small retail business, as arguably it is the starting transaction cost is what is the major difference between selling on Amazon/E-Bay vs. starting a brick and mortar shop. So I would want to fix this for example. We must keep in mind the difference between large and closed vs. small and open economies, i.e. countries that could be mostly self-sufficient if they wanted to (although at a big cost) like the US, Britain or Germany, and countries that have no chance at all, they must import a lot, hence they must export a lot to break even, like Hungary, Cyprus, even Greece. In the later case it is all about export success. Keynesian demand boosting would never work in the second case: people would just gladly buy more imported stuff. No comment really, I expect technological changes like Bitcoin to Kickstater rewriting the system, but not sure how. First, how do we get to more "intelligent" regulation and, in the process, reduce the amount of it? Subsidiarity principle, i.e. as local as possible. But I have no idea how to convince people that if they have a problem with a certain industry in a certain city, they should complain to the local "guild" of that industry first, if fails, to the city, if fails, to the government, instead of directly to government as they do today. We somehow need to get rid of the whole concept of national level politicians wanting to be reelected on the basis of being seen as "tackling" a problem, like a whole national regulation as an answer to one particular local screw-up by one company. But I don't know how. And even if it could be done, it would also have drawbacks. Imagine having to get different paperwork in every city you want to sell a new product in, instead of licenced once for a country. This is why entrepreneurs in bigger countries have such an easier job. This is a huge contradiction. We probably cannot have intelligent and minimal impact regulation on an EU level, yet we must move them to an EU level, in order to provide every entrepreneur with 500M potential customer without having to figure out different regulatory barriers per country. Second, how can the issues of compliance and sanctions be handled in a world based more upon "common sense" regulation than upon compliance with minutiae? How about disenfranchising public sector employees? Literally. Stop them being a lobby group for more paperwork. Nobody should be both the boss and employee of politicians at the same time. No idea, most problems you mention seemed to be the direct result of representative democracy. But at the very least the packages must be broken up. In the sense of people should not just be voting on 2-4 large parties on their overall level of performance. Instead, voters are to be given a list: which person you want to be your minister of agriculture? Which person you want to be your minister of finance? And it is OK to leave those empty you don't care about. Do not put party affiliation of the ballot: those who want to base their choice on affiliation, not personal achievements or program, should at least be forced to figure it out themselves.